You know all those games on Facebook. You might be addicted to a couple of them. The problem is that a lot of them want to post to your wall to advertise themselves and offer incentives like bonuses for friends who play or a way to ask for something in the game you want. If you love the game, but aren't in love with the idea of your co-workers/non game playing friends and other people seeing your game posts there is a way around it. It takes a bit of time to set up if you've got a lot of people who play your game with you, but once it's set up, maintaining it is fairly easy. 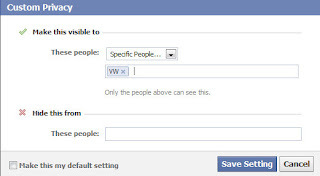 It gives you a way to hide those Facebook game posts from friends. So, go to Edit Friends. It's in the upper right hand corner of your screen like this. Open the drop down for Account. Now you need to create your list. It's right there on top of the screen. Give it an easy name you'll remember. I usually go with the initials of the game. Like for Mafia Wars, I went with the very clever "MW". 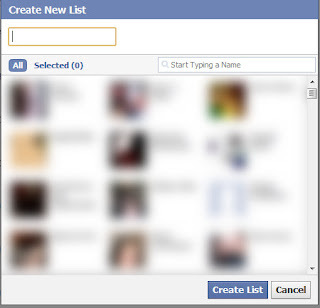 Just hit the create list and don't bother trying to pick all the faces out of the pop up window if you've got a ton of people on your friends list. 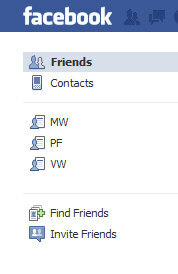 So now, on the left hand side of your screen, you'll have a friends list there. Click on that. So now for the time consuming part if you've got a lot of friends who play your particular addiction. Adding the names. 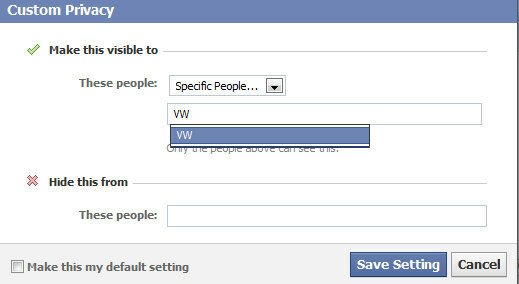 Facebook will offer auto-complete suggestions which makes it a little quicker. Open your game in another tab so you can get the list of people who play with you. Neighbors, members of your clan, whatever they call them in your game. Add them all to your brand spanking new friends list. If it doesn't start auto-completing instantly, just give it a minute, or backspace and type the first few letters of each name again. 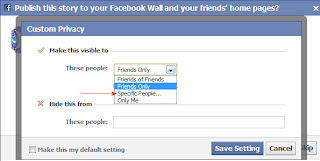 Now, as you add friends that are just for your game, you add their names to that friends list by going to account/edit friends and clicking on that list. If they are adding you for a game, when you confirm you have the option to add to a list. So now the list is made. How to use it. Okay.. here's one of those pop-ups that gives you a good incentive to share with friends. Because, hey, 7,666 exp is enough to push someone over to level! So this part takes an extra couple of seconds, but you'll get into the habit pretty quickly so it doesn't take much time if you want to keep all the game posts out of your non-game playing friends view. Click customize. Which opens this. Now you choose Specific People. Type your nice, short and sweet friend's list name. Choose it from the drop down. 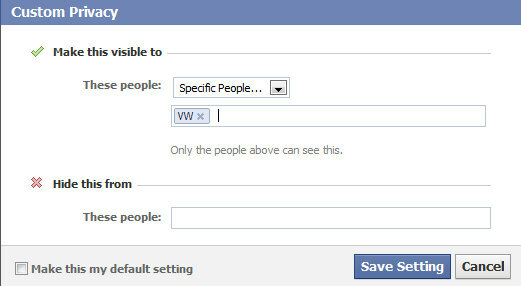 You do have to choose it from the drop down, otherwise, it becomes only visible to you. This is what it will look like after you do that. Hit save setting, which closes that window, then confirm to publish it. 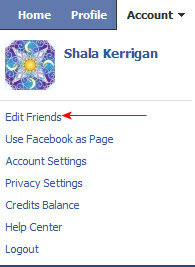 It will only publish to the people on that friend's list. Same technique works for creating lists of specific people you want to post messages to on Facebook. When you update your status, it shows that little lock icon, so same steps. You click the lock to change the settings for just that status alone. If you're doing looking for new neighbors for your games, you can add people to your game lists while sending add requests. When you get an add request (which I don't have screencapped yet), there is an option in that to add to list as well. :) Quick and easy. well thank goodness. Easy and painless, and much appreciated.